Three men have been killed after a car explosion in Iraq. 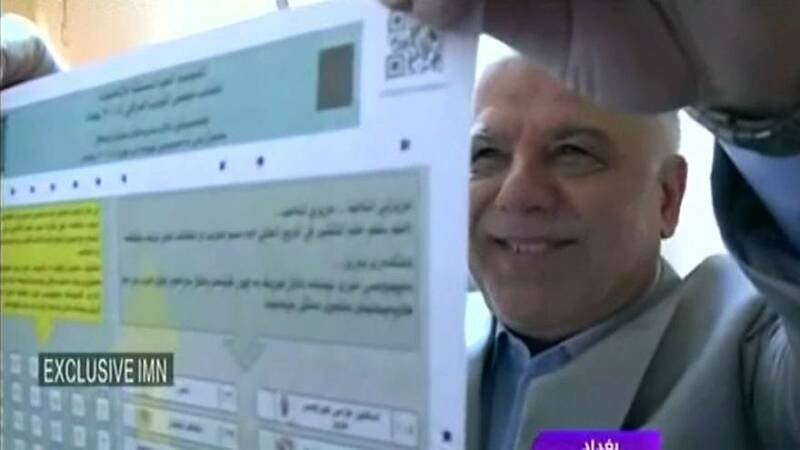 It happened as parliamentary elections closed their polling stations. The magnetic bomb went off in a Sunni Arab region south of the oil city of Kirkuk. Two of the dead were voters and the third was an observer at a voting station. Sources say the so called Islamic State claimed responsibility for the attack. The militants had made threats in the runup to the vote, the first held since they were defeated last year by Iraqi security forces backed by a US led coalition. The Shi'ite prime minister - Iraq's leader - is Haider al-Abadi. He's seeking re-election and is by a narrow margin, the favourite. Iraq's three main groups - the majority Shi'ite Arabs, the minority Sunni Arabs and the Kurds - have been at odds for decades. Abadi faces stiff competition from parties with closer ties to Shi'ite run Iran which still exerts a lot of influence over Iraqi politics. As part of a power sharing agreement that goes back to the US-led invasion in 2003, the position of prime minister is reserved for a Shiite. Polling centres have also been set up for many of the two million Iraqis who remain displaced by the war against IS. It's a challenging time to hold an election - the country is still trying to rebuild itself after four years of fighting.